Christmas Makerspace/STEM brings Christmas Trolls to life! 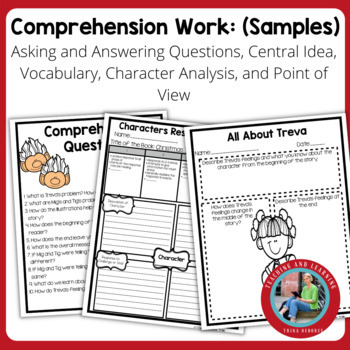 Your students will experience a choice of close reading activities focused on the standards of characters, retelling, main idea/theme, vocabulary, and point of view. Then the little engineers in them will solve the problem of one or more of the characters. A conversation about push and pull brings science into literature! 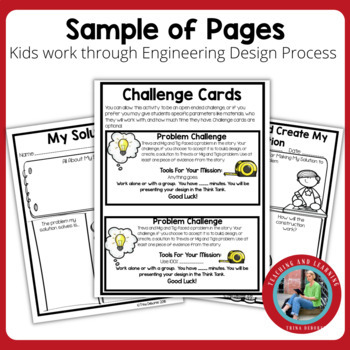 MakerSpace Activity: STEAM takes the E for engineering and the A for arts from STEAM and you get Maker Space Moments in Literature. 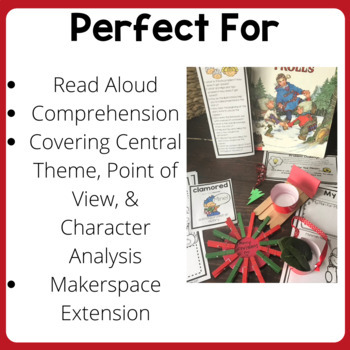 Makerspace Moments In Literature allow you to do a focused Close Reading with text as well as extend on a piece of literature with the same function and creativity of a Makerspace using engineering tools to problem solve and create. A Makerspace is a collaborative area where students can think, create, share, and grow using an assortment of materials and technologies. written by Jan Brett BOOK NOT INCLUDED. The book is available on Amazon. 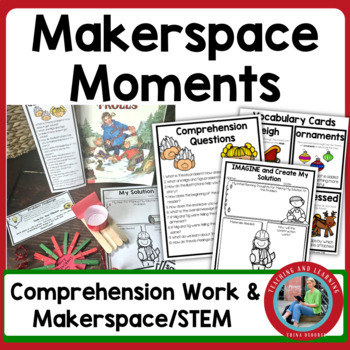 Christmas Makerspace: Are you Grumpy Santa? Copyright © Trina Deboree. All rights reserved by author. This product is to be used by the original downloader only. Copying for more than one teacher, classroom, department, school, or school system is prohibited. This product may not be distributed or displayed digitally for public view. Failure to comply is a copyright infringement and a violation of the Digital Millennium Copyright Act (DMCA). Clipart and elements found in this PDF are copyrighted and cannot be extracted and used outside of this file without permission or license. Intended for classroom and personal use ONLY.